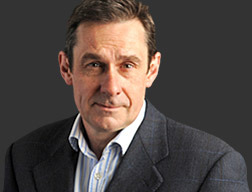 Paul Mason, Newsnight's economics editor, has defected to Channel 4 News in the latest departure by a high-profile BBC journalist. Mason, who hails from Lancashire, is joining the ITN-produced programme as culture and digital editor. Ben de Pear, the editor of Channel 4 News, said: "I am delighted Paul is joining Channel 4 News. He has been a great talent at Newsnight and is a fantastic addition to our on air team here. "He beat off considerable competition internally and externally for the post but I believe there is no one more suitable to take on this exciting and challenging new remit." The broadcaster said Mason's role would be “wide and free-ranging from reporting on the cultural life of Britain and the world, to the culture wars and social change which have been unleashed in the past decade with the growth of social media and seemingly endless rolling revolutions and unrest”. Mason will join former Newsnight colleagues Michael Crick, Shaminder Nahal and Jackie Long when he takes up his new role in the coming weeks. Former BBC Washing correspondent Matt Frei left the corporation for Channel 4 News in 2011. Named RTS specialist journalist of the year in 2012, Mason worked as a teacher and lecturer before becoming a freelance journalist in 1991. He worked for Reed Business Information before joining Newsnight in 2001. Commenting on his move, Mason tweeted: "I'm sorry to be leaving (new Newsnight editor) @iankatz1000 and this brilliant team. As for what new role means I'll to let the output do the talking. If you see me report Glyndebourne it may mean it's been occupied."